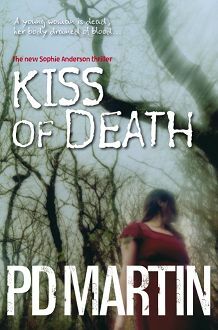 Get an insight into the next Sophie Anderson novel, Kiss of Death. Out now in Australia and New Zealand and 1 August in North America. It’s hard to believe that Kiss of Death will be released in a few weeks! The past few months have flown. I guess it’s time to tell you a little bit more about the book – cover, plot, and so on! Kiss of Death is set in the world of real-life vampires – people who feel they need to feed on other people’s energy (usually through blood) to survive. The research was both fun and enlightening. 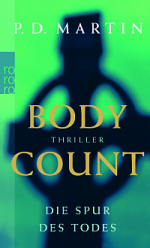 I’ve just launched the start of a new interactive ebook, in which you’ll be deciding how the plot moves forward! The book trailer for The Killing Hands is ready. It’s my very first book trailer and I hope you like it! With the North American release date coming up, here’s a sneak peek of the cover for The Killing Hands. Plus twists to keep you guessing. This year I took part in the traditional Ned Kelly Awards debate. The topic: Women do it Better. Speaking for the affirmative was Liz Porter and me; and for the negative Peter Corris and John Silvester. I’ll be appearing at the Melbourne Writer’s Festival this year – 22 August to 31 August – with two panels and a panel/debate at the Ned Kelly Awards. For me, the Melbourne Writers’ Festival starts tomorrow, with the Text Publishing author party. And from there I have a panel, the Davitt Awards, another party, another panel, another party and then the Ned Kelly Awards. Sounds exciting and exhausting, doesn’t it!? I’ll be taking part in this year’s Write Around the Murray writers’ festival. Next week I’ll be submitting some edits to my Aussie publisher for book 4, The Killing Hands.